A fascinating weekend in Jaipur would not have been complete without a visit to the nearby Amber Fort, the original seat of the Kachwaha Rajputs before they moved court to Jaipur. 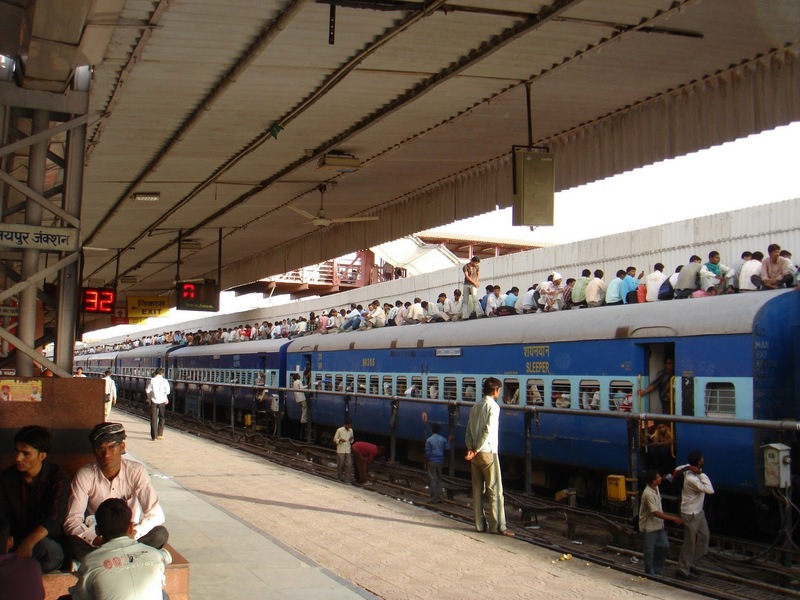 Having to catch the Shatabdi Express to Delhi in the afternoon, I had several hours to spare so I set course for the fort soon after breakfast. A friendly taxi driver who had taken me around Jaipur the previous day, had left his contact with me and was available within minutes after I called him. Amber Fort is a mere 10-km from Jaipur, so we drove at a leisurely pace, with the driver volunteering an informative commentary on the way. 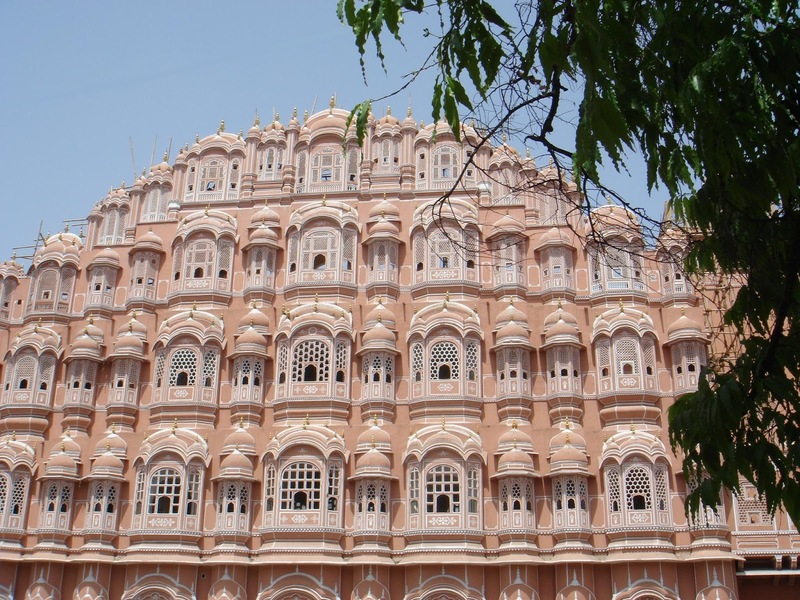 With a certain bit of pride, he told me that crime was non-existent in Jaipur and its environs, as locals were aware that it would adversely affect tourism which is a major source of their livelihood. Just out of the city limits of Jaipur, we came across the beautiful Jal Mahal seemingly afloat on the tranquil waters of Man Sagar Lake. Built by the immeasurably fat Maharaja Madho Singh (mota raja) in the mid-eighteenth century, the palace was a pleasure retreat used for hunting and picnic parties. Nowadays, the Man Sagar Lake is a well-protected bird sanctuary and quite popular with bird watchers. Soon after we drove past the lake, a smattering of shallow hills came into view. The forested ravines and ridges of this isolated stretch of the Aravalli Range seemingly provided protection against any invader from the north and east. 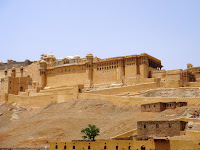 This fact that was not lost on Raja Man Singh I who started building the fort atop the crest of a hilly outcrop in 1592, on the remnants of an earlier structure dating back to the 11th century. The Kachwaha rulers went beyond merely bolstering their physical defences and, sealed their security by unique alliances with their Mughal tormentors, as we shall see in a while. As the driver parked the taxi which was to wait for me for two hours, several men thronged around, enthusiastically yelling in an incomprehensible cacophony of which I could only make out the word ‘haathi’. They were offering stately elephant rides to the fort just 400 metres away! A two-way ride on a shared howdah cost 2,000 rupees while an elephant all to oneself cost twice as much. Any Westerner would be lucky to manage a ride for less than five to six grand. 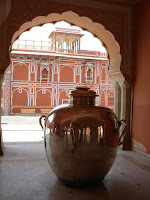 Having stayed in the Narain Niwas Palace the previous night, I had had my feel of the maharajas, not to forget the pinch on the pocket for the extravaganza! I, therefore, opted for a brisk trek up the zigzagging path to the fort. Approaching the fort from the eastern side, the eye meets a well-maintained garden on the right and the picturesque Maotha Lake on the left. Jutting into the lake is a terraced garden known as the Kesar Kyari Bagh, named after the saffron flowers once planted in its star-shaped flower beds. What a sight it must have been to watch a raft of saffron floating on the turquoise lake, seen from the heights of the fort! Entering through the east-facing Suraj Pol (Sun Gate) – the rising sun being an emblem of the Kachwahas – one finds himself in a large quadrangular courtyard, the Jaleb Chowk that was once used as a parade ground and quarter guard. Today, well-stocked souvenir and snack shops line the courtyard. Tourists can be counted in hundreds at any given time. 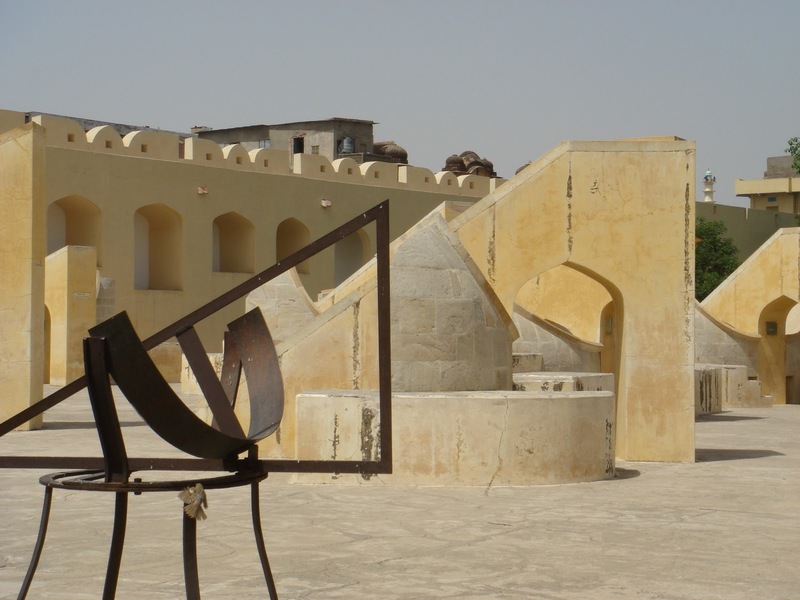 A flight of stairs, as well as a thoughtfully constructed later day ramp for the handicapped visitors, leads to the Diwan-i-Aam (Hall of Public Audience). 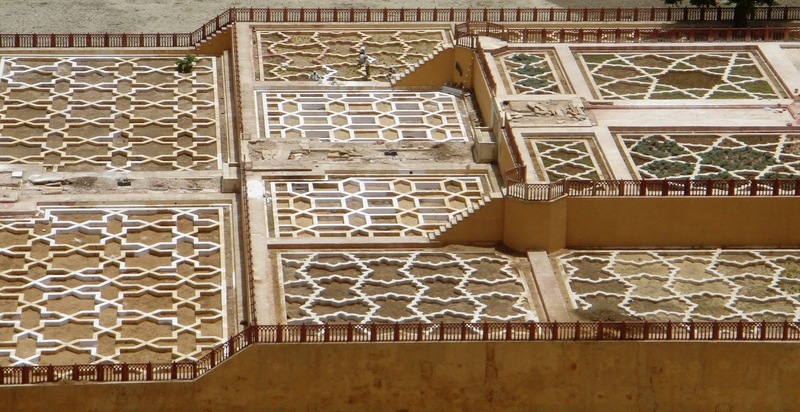 The adjoining Sattais Kutcheri, with its 27 pillared patio, was used by the court scribes to maintain records and draft petitions for review by the maharaja. 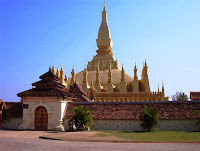 The family temple of the Kachwahas dedicated to Shila Devi lies on the adjacent side. I shuffled past hurriedly, lest it seemed rude for not offering a quick prayer outside its solid silver door, as done by most Hindu visitors. The formidably built and beautifully frescoed Ganesh Pol (Gate of the Elephant-god) leads to the royal quarters and the harem. Atop the three-tiered gateway is a filigreed terrace from where the ladies could watch functions held in the Diwan-i-Aam. Purdah amongst the royal Rajput women was followed rigidly, much like the practice prevalent amongst all Muslim rulers of India. 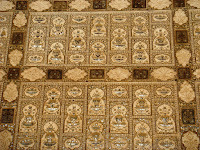 The original Mughal jaali or the filigree screen was, thus, found by the Rajputs to be an expedient architectural contrivance to keep their women from the prying eyes of the commoners. Stepping beyond, into the royal sanctum, is a Mughal-style four-quartered garden known as Aram Bagh. Flanking it on the left is the Jai Mandir whose masterpiece is the glittering mirror-encrusted Sheesh Mahal on the ground floor, which served as the Hall of Private Audience. 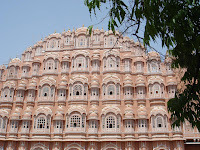 The top floor housed the maharaja’s private living chambers. Across the Aram Bagh on the opposite side is the Sukh Niwas or Pleasure Palace, complete with water running through open channels for an air-conditioned effect, much needed in an area where temperatures routinely cross 45ºC. 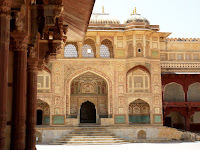 The last courtyard houses what is known as the Zenana Mahal, originally the palace of Raja Man Singh I. Suites on three sides, with a central baradari pavilion where the royal ladies could cavort, form the main palace complex. Generally sparse in their matrimonial assets, only one maharaja with thirty wives and concubines came close to beating the Mughals at their favourite hobby. 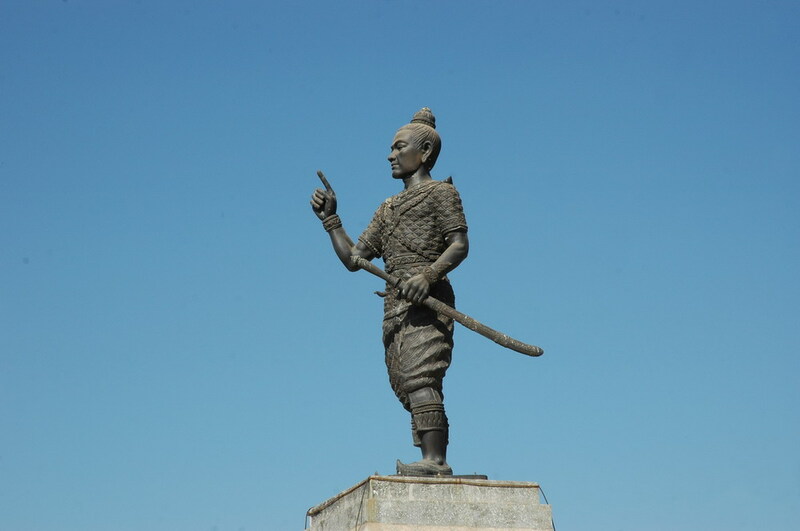 “Well-stocked for the whole month”, quipped one of the sharp visitors to the fort, when the tour guide reported the peak occupancy of the Kachwaha zenana! The power – and the pleasure that goes with it – had to be achieved and secured by force of arms, usually. Unfortunately, in the face of zealous Muslim adventurers, whether the Mughals or the Sultans before them, the Rajputs were seldom able to put up a united stand. Centuries of siege and subjugation had become too much for the proud Rajputs. Seeing this state of affairs Raja Bharmal of Amber made an offer that could make even the stoutest of kings drool. For the Kachwahas, there would be no more jauhars, the collective suicides in the face of defeat. On a cold wintry morning, the marriage party accompanying the beautiful Princess Hira Kumari left Amber Fort for nearby Sambhar, where Emperor Akbar’s retinue was waiting to receive the bride. In a matrimonial alliance of convenience, Raja Bharmal had decided to give away his daughter to a Muslim emperor, thus sealing an alliance that brought the House of Kachwahas a breather from centuries of constant feuding. Mariam Zamani, Emperor Jahangir’s mother, well-remembered by a Lahore mosque of the same name near the railway station, was none other than Hira Kumari. 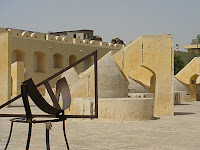 Having become familiar with much of Amber Fort, I could imagine Hira Kumari being led to the Shila Devi temple for invoking the idol’s benedictions before the start of a new but uncertain life. Then, amid the wail of shehnais, a sad farewell at Jaleb Chowk would soon have been followed by a cheerful welcome at Agra, full of Mughal fanfare. Much pleased by the offering, Emperor Akbar returned the Kachwaha favour by promoting his new brother-in-law’s son, Raja Man Singh, as the Commander-in-Chief of the Mughal Army. Akbar went even beyond that, by including him amongst his famous inner circle of Nauratans (Nine Jewels). 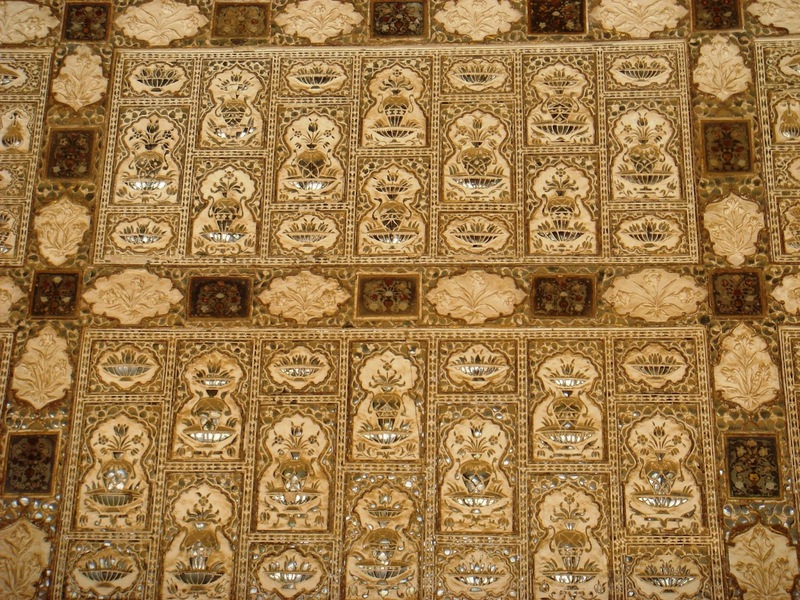 The pattern set by his father led Raja Bhagwant Das to offer his daughter Princess Manbhawati to Emperor Jahangir; she was later to become the mother of Prince Khusrau. Thus continued an alliance amongst some of the most unlikely partners, but which turned out to be advantageous to the Mughals and Rajputs alike. I should have been careful to specify which particular Rajputs, for the other ruling clans were none too happy about this arrangement. The Sisodias of Mewar, the Bhattis of Marwar & Bikaner and, the Rathores of Jodhpur considered that Rajput honour had been defiled, for their credo demanded death to such dishonour. For those who saw to it that their women burnt themselves on the pyres every time they were vanquished, offering daughters as pawns was considered the ultimate in shame. 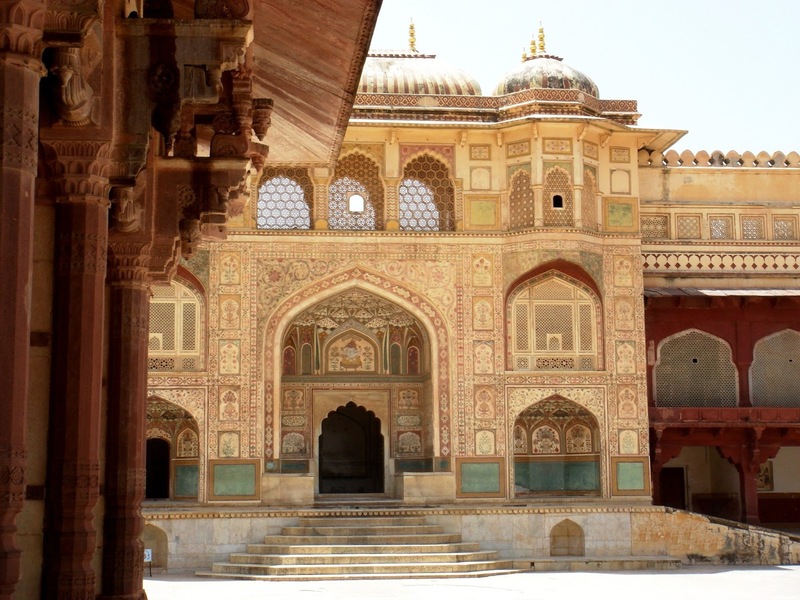 In the event, the Kachwahas turned out to be one of the most prosperous and largest Rajput houses till the abolition of the Princely States after Independence. The Mughals too, having managed to cover their western flank, were able to expand their empire in other directions, unhindered. The fortunes of the town fell when Amber Fort started to suffer water shortages in the 17th century. So grave was the problem that Maharaja Jai Singh II decided to abandon the fort and start building a new city of Jaipur in 1727. The abandoned fort fell into neglect, but lately, conservation efforts have paid off and the fort has recovered much of its former glory. Having seen Amber Fort, with which Lahore Fort shares much in architectural and functional detail as well as place names, one wishes that we too could do more about conservation. Sadly, given the prevalent security situation, the effort might be questionable as few tourists would be there to repay the expenses. This article was published in the daily newspaper The News International on 6 November 2011. With the lone hotel in Makran having closed down recently due to security concerns, one has to think twice about exploring this fascinating vastness by camping out in the open. I was lucky to take up the offer from a naval colleague and decided to spend a tranquil weekend at the Naval Mess in Ormara. The allure of watching the turquoise waters of gently curving bays, from an exclusive viewpoint perched on the enchantingly beautiful ‘hammerhead’ was too much of an opportunity to let pass; and what better way to get there than by driving down the excellent highway which, at places, overlooks the dazzling Arabian Sea with the stratified hills of the Coastal Makran Range for a picture-perfect backdrop. With my old Air Force friend Nauman Farrukh for company, we set course early in the morning and headed via the Northern Bypass towards the industrial estate of Hub. From there, as we drove along the RCD Highway to Uthal, we picked up many features familiar to us from the air during our bombing runs of yester-years at the Sonmiani Firing Range. 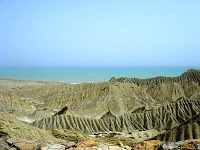 We were so busy recollecting old stories that we completely missed the turn to the Makran Coastal Highway. After nearly reaching Bela, we realised our mistake and turned back to Zero Point, 18 km south of Uthal, from where the highway starts. The traction of the tyres suddenly smoothened out as we coasted along one of the finest roads in the country. The road widely arcs around the inland sea known as Miani Hor where all sorts of aquatic birds can be seen; it can be visited only in a 4x4 vehicle due to rough terrain. 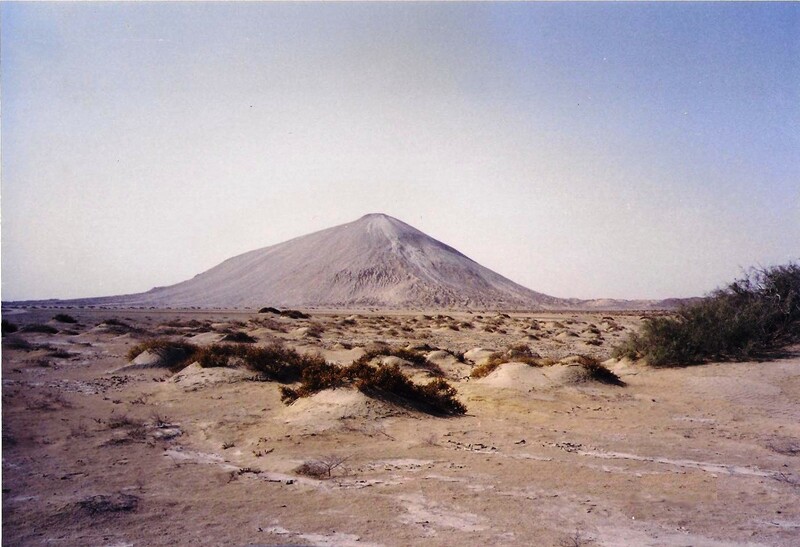 About 90 km from Zero Point is another marvellous geological feature, the famous Chandra Kop mud volcanoes of Makran. Located about 6 km off-road, the three volcanoes can be visited in a 4x4 vehicle; however, one must be prepared for a very bumpy ride over sand dunes and thick shrubbery. The desolation of the countryside is evident all along, with hardly any population centres, save for a few reed huts here and there. There is no evidence of agriculture or even rudimentary industry, anywhere. The road traffic is thin, with about one vehicle passing by every 3-4 minutes. Roadside shacks serve tea and beverages, while some also sell petrol, hand-pumped out of barrels as there are no proper petrol stations on the way. About 100 km from Zero Point, the road starts to run south-west along the base of a hill range that eventually dips to the edge of the sea. For those not so lucky to manage a night’s stay in a forces’ Mess at Ormara or beyond, the drive must end at Hingol River crossing near Aghor (about 3½ hours from Karachi) so that a return journey can be completed before nightfall. We took a tea break at a roadside shack short of the Hingol Bridge that also marks the beginning of Hingol National Park. Nearby, a signboard proclaims – dubiously, I think – the site of the graves of Muhammad bin Qasim’s soldiers, though their design and vintage seem similar to those at the 15th–18th century Chaukundi Necropolis north of Karachi. Another signboard indicates the road branching off to Nani ka Mandir, a Hindu shrine of great antiquity, about 15 km inland near Aghor. Since there is no bridge over the river and the water level was high for fording it, we decided to leave it for some later adventure. Beyond Hingol River, the road passes through defiles and gullies in the hill range. Odd shapes chiselled by the wind and rain can be seen, the most remarkable of all being a huge sphinx-like figure. Not too different from the famous specimen at Giza in Egypt, it only needs some refinement and finer shaping of facial features to qualify as the Sphinx of Baluchistan. 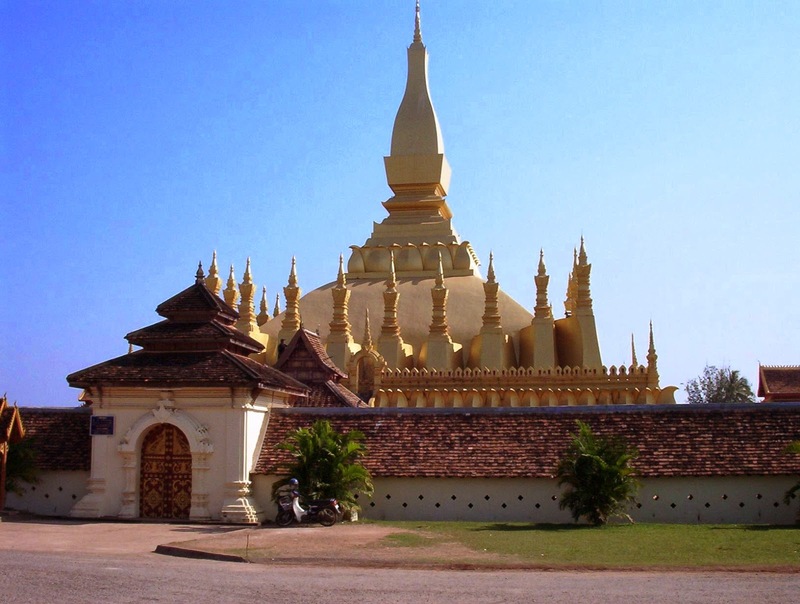 Other naturally sculptured shapes include pagoda-like structures, lofty towers and human figures; one of the latter is said to have been named Princess of Hope by none other than Angelina Jolie, while on a flood relief tour a few years back. As we got closer to Ormara, the huge mass of the promontory jutting out into the sea became visible. We were low on fuel so our immediate concern was to find a petrol station in the town. As we drove through the town’s central street, we saw numerous shops selling Iranian bootlegged petrol, besides the usual groceries and vegetables. A shopkeeper’s assurance that it was top grade fuel prompted us to get a refill; in the event, we did not have any engine issues on the return leg. The drive through the town had nothing to show but pot-holed streets and an unkempt look. Iranian-made motor bikes are the principal means of transportation in the town. Occasionally a woman wrapped in a black chador would scamper past, somewhat uncomfortably. We found the locals to be generally good-natured and friendly. Almost everyone spoke Makrani Baluchi with a Persian lilt to it, though Urdu is the lingua franca in much of Makran. Unfortunately, literacy rate in the area does not reach two figures for males, while for females it is absolutely zero. A school administered by Pakistan Navy, however, promises to change things in due course. After reaching the Mess we had a quick shower and, hurried to be in time to watch the sunset from atop the hammerhead which rises to 1,500 ft above sea level. A winding road covering a distance of 17 km takes one to the top, where a small viewing enclosure aptly named Bay Watch offers the most stunning views of the East and West Bays. Unusual for the month of July, we encountered cold winds that lashed the sheer cliffs draped in low clouds. Ospreys struggled to keep balance in delightful aerobatic flight as they scanned the shore for fish and crabs. About 50-odd fishing boats could be seen in the shallow waters off Ormara town. The Jinnah Naval Base stood out as an ultra-modern facility in the clear blue waters of East Bay. The picturesque view did a lot to soothe our tired eyes, much as the feast that followed did to our mid-sections, a little later! After the long day was done, we drove down the hammerhead in pitch dark, with our headlights picking out several hedgehogs setting off on their nocturnal forays. Next morning we decided to go around the town to check the activities. Plenty of men were busy catching crabs on the West Bay which is a daily chore for those who cannot afford a fishing boat. Many others have found jobs as labourers at several of the Navy’s construction sites. Poaching of falcons for Arab Sheikhs is rampant, we were told; a sizeable number of shikaris indulge in this illegal falconry trade which earns them handsome amounts. The beautiful Sooty Falcon (Falco concolor), a summer breeder on the Makran Coast and the Peregrine Falcon (Falco peregrinus), a winter visitor to the area, are prized birds which has been the cause of their declining numbers. The Navy is well-respected in Ormara, especially for its welfare efforts which include free medical care for the locals and subsidised rations purchase. An upcoming 100-bed hospital is certain to extend health care to far-flung areas. In a few years, one expects the first batch of educated youngsters from Ormara enlisting in the Navy, which would be a turning point for the locals, both from the point of view of employment opportunities in this far-flung region, as well as national integration. Having spent a wonderful weekend, we were ready to leave at mid-day. Shortly after driving out of Ormara, we saw two more mud volcanoes about 3-5 km off-road (approximately 18 km north-east of the town). Since we had to get back to Karachi before sunset, we could only view them from a distance. During the journey, a lot of landscape pictures were taken. We noted an excellent spot at Kund Malir for those who insist on hazarding a camping trip. About 25 km west of the Hingol river crossing, the rocky Ras Malan plunges into azure waters, and date palms laden with fruit seem to soar above the huge sand dunes of Kund. This is Arabian Sea in unmatched splendour. It must be noted that mobile phone signals in the area are poor to non-existent; a car breakdown could thus turn into a nightmare, so it would be best to travel in a convoy of two vehicles. A jerry can of extra fuel, a properly inflated spare tyre, jump start leads and a strong towing cable are a must for travel safety. Needless to emphasise, a stock of delicious snacks and cold beverages could enrich the outing manifold! 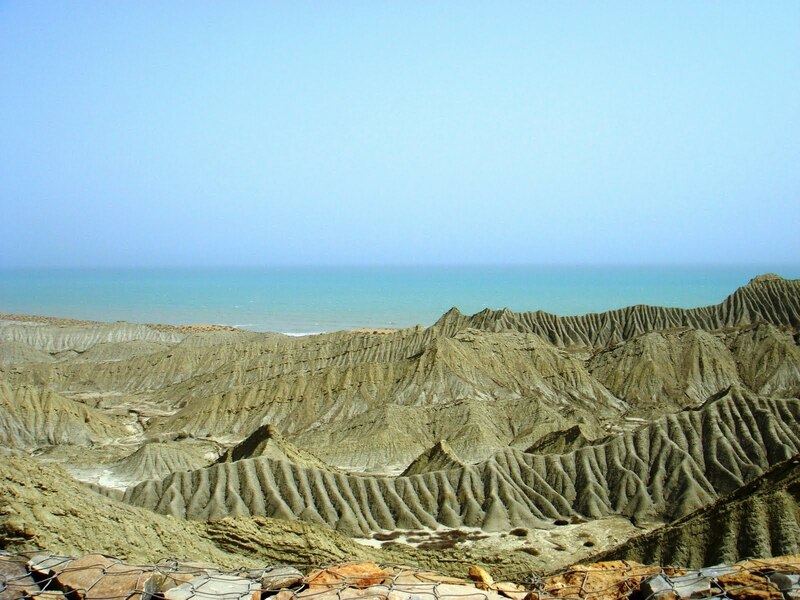 A Sunday on the Makran Coast is a thrilling picnic waiting to happen. Wise words: don’t wait! This article was published in the daily newspaper The News International on 4 September, 2011. Returning after yet another weekend trip from our favourite getaway at Sakesar, I and my wife decided to try out a different route on the way back to Lahore. After a heavy downpour, the south-bound road from Naushera to Khushab was badly inundated. We checked with some locals about the feasibility of an alternate route heading east to Kallar Kahar to get onto the motorway. Three successive bystanders assured us that (i) the road is not bad, except for some repair work (ii) the road is as good as the other one (iii) the road is very good. All three comments spurred us to drive through the fabled Soon Valley that lies between Sakesar in the west till Padhrar in the east, a stretch of about 60 km walled up all along by two ridges about 15 km apart. What lies between the verdant ridges are striking hues of greens and browns with some shimmery silvers reflected from the beautiful lakes that dot this picturesque valley. ‘Heavenly Bliss’ got a new meaning as we drove through this little traversed stretch of the Salt Range. Soon Valley is the home of Awans as was evident from signboards at almost every shop in the small towns of Uchali, Naushera, Jabba and Padhrar. The name plates at the homes of the more well-to-do locals also display the superior title of Malik. A sign of the extravagant taste and affluence of some locals was evident from the concrete urials (wild sheep of the antelope sub-family) crafted to the most exacting proportions and colours, that surmount the roofs of their houses. The real life urial has, unfortunately, been hunted to near extinction in the Salt Range, though conservation efforts claim to have arrested the declining numbers. A few miles out of Naushera, just as we were discussing the merits of the bystanders’ advice about the road conditions, we were jolted by tyres meeting crushed stone. It was the expected road repair work, of course, but we hoped to ride out the rumble in a short while, if the first bystander's comment had some truth in it. Uchali Lake, part of the 3,000-acre Uchali Wetland Complex, could be seen to our left. The lake is bisected at the western edge by a road that was supposed to connect Uchali town with Chitta village, but remains incomplete due to shortage of funds. Sticking out like an ugly varicose vein over the lake’s placid surface, the road was the brainchild of a local politician who thought that a shortcut through the lake would please the locals and bring in votes, while outrightly disregarding issues of environment and aesthetics. The lake is a birdwatcher’s delight, being home to numerous varieties of aquatic birds, especially during the migratory winter months. White-headed Ducks, Greater Flamingos and a variety of grebes are a sample of these birds that can be found especially in this complex. As we continued rumbling over the ‘under repair’ road, we checked with a passing motor-cyclist who told us that the broken stretch would continue for another fifteen kilometres. Mercifully, the pleasing scenery soothed our bones that were starting to get jarred. Little shepherd boys tending flocks of goats and sheep were a common sight. Even in small hamlets, children seemed oblivious to school life, which is a pity. Even though school buildings could be seen by the roadside villages, attendance seemed less than satisfactory. After covering fifteen kilometres, there was still no sign of a proper road, so we flagged an oncoming pick-up truck to find out what the driver had to say. “Fifteen kilometres more to Jabba and then you will be on a proper road,” he surprised us, just when we thought the worst was over. Crest-fallen though we were, we slowly trudged along the broken stretch assuring ourselves that the beautiful countryside was, at least, worth the rough ride. Gradually, a large water body came into view which was Khabbeki Lake, the second in Soon Valley. Though much smaller than Uchali, it offers a more charming view since it runs along the roadside. Water birds could be clearly seen but are in small numbers compared to the winter migration season, when the lake is full of many kinds of ducks and flamingos. As we drove on, we noted that there were no ugly billboards and hoardings to mar the scenery. However, stone quarrying and cutting have left some unsightly scars on the adjoining ridges and one is not sure if this activity is being undertaken lawfully. When one considers that the Salt Range is a geological wonder of Pakistan, it is heart rending to see its priceless fossil-loaded specimens being ground up in the stone-crushing machines. Earlier in the morning, we were lucky to have walked over a pathway on Sakesar top which was littered with rocks bearing imprints of molluscs (a group of small sea animals). Studies show that these creatures lived in the Early Jurassic Era dating to 200 million years ago. Sediments bearing these dead creatures that were once on the sea bed got uplifted, folded and buckled – in excruciatingly slow motion – to build mountains due to collisions of the underlying plates of the earth’s crust. Subsequently, erosion of the mountains by the elements led to exposure of the fossils. Such are the ways of Nature that you get to observe in the open air museum of Soon Valley, much as in the Salt Range at large. 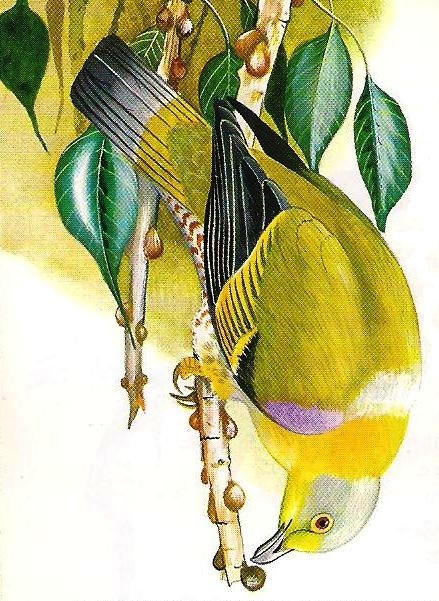 The fauna of Soon Valley is restricted to bushes and small trees including sanatha, phullai and kau (wild olive). The wood of the latter is quite hardy and finds use in ploughs, handles and walking sticks. It was no surprise to see a number of camps set up by enterprising Afghan refugees, stacked with heaps of kao wood. Womenfolk, in their brightly coloured ankle-length dresses, could be seen helping their tall, heavily turbaned men with loading lumber in the tractor-driven trolleys. We were left wondering if the local forest conservation authorities are aware of this activity, which, I am told, is prohibited in the area. Having been on the broken road for two hours, we were delighted when a passer-by told us that Jabba was just fifteen minutes away. The car’s fuel warning light had come on and, with no fuel station in sight in the valley, we wanted to get to some worthwhile town at the earliest. As we drove on anxiously, we had a close call when we stalled in a puddle of slush and mud. Mercifully, my wife’s ‘dua’ routine (that had been invoked at several critical junctures earlier) worked, and the wheels suddenly picked up some divinely-sanctioned traction. We finally made it to Jabba from where the broken stretch ended and, much to our relief, we got to ride smoothly on a proper road once again. It had taken us two hours to cover just 25 km, but we were lucky to have been driving in a beautiful valley, enjoying its idyllic landscape, never mind the bumps and jerks. As with all good things that come to an end, the small town of Padhrar came into view around a bend in the road, and we bade farewell to Soon Valley. Anyone wishing to drive through the valley would be well advised to either do so in a 4x4 vehicle or, wait for the road to be repaired fully, which is likely to take about an year or so, at least. A simple picnic with the family at the Uchali and Khabbeki Lakes or nature photography, bird-watching and study of rocks and fossils for the keener types, are some recommended activities. Whatever your preference, if you haven’t had a good outing for a while, it is never too late for the Soon Valley! This article was published in the daily newspaper The News International on 21 August, 2011. Standing at the Turkoman Gate, we hailed a cycle rickshaw to take us to the curiously named Bulbul-i-Khana locality inside the convoluted labyrinths of Old Delhi. “Where exactly?” the rickshaw-wallah asked us. “Razia’s grave,” I replied. Pedalling laboriously for several minutes in the April heat, he abruptly stopped for what seemed like a breather. 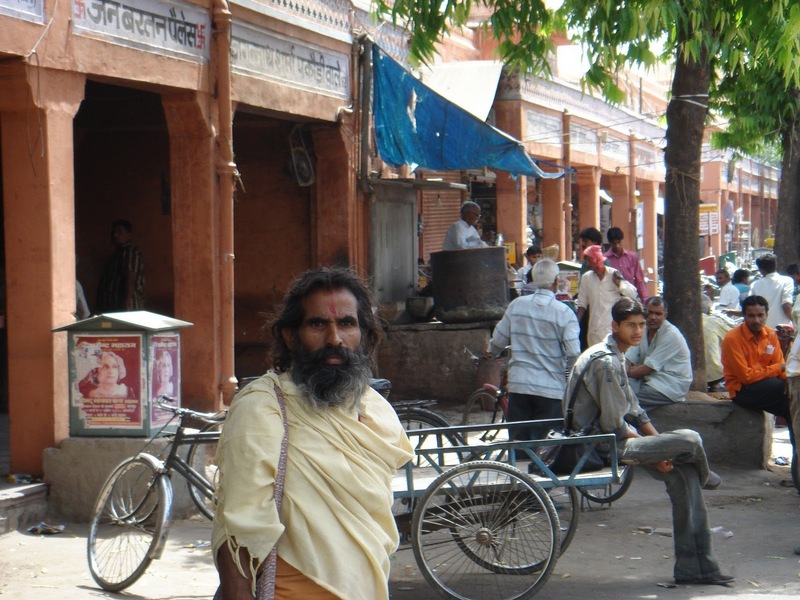 “There, into that street .… ask anyone,” puffed the rickshaw-wallah. Looking at the width of the street that branched off, we understood why he could go no further. Feeling odd – and a bit guilty, I may add – at having arrived like colonial bara sahibs, we rewarded the wretched rickshaw-wallah handsomely and strode off to pay homage to the fabled Razia Sultana. I, along with my wife, had been soaking up Delhi’s history for the whole of the previous week and, had seen just about every landmark that we had read about in our school days. 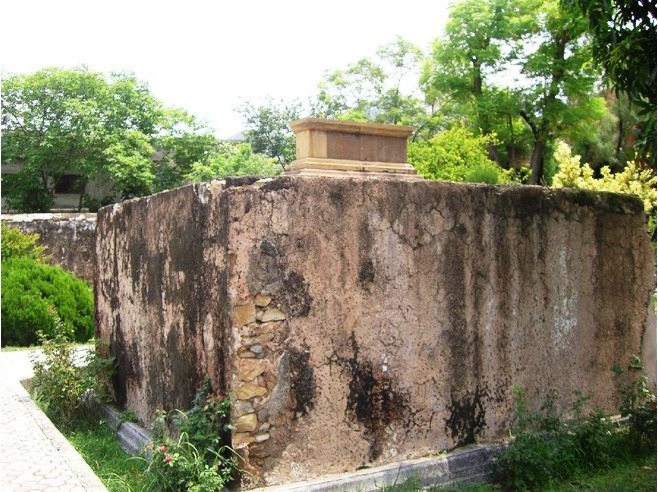 When we expressed our desire to visit Razia’s grave, hardly anyone could help with its location, which was a surprise. Though a famous film starring Hema Malini as the vivacious Sultana and, even comic books featuring Razia have been popular in Delhi, there weren’t many who seemed interested in her forlorn after-life. 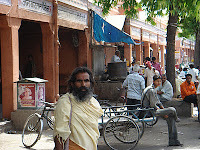 We asked a chai-wallah if he could help us with the way to the gravesite. 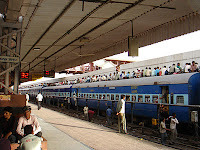 “It’s up there on Bhojla Pahari, not far from here,” he replied casually, while his clients looked at us questioningly. As we headed into the shabby cobblestone street, we noticed that it was getting claustrophobic and not even two persons could walk abreast without a nudge. Not sure if we were at the right place, we rechecked with some passer-by, who said that we were not only on track, we were actually at our destination, as he pointed at the grilled iron gate on the dead end of the street. The surroundings could not have been much different from our own Inner City in Lahore, with rickety conjoined houses putting good neighbourliness to severe test, live electric wires taking dreadful dips in every terrace and, rubbish heaps mocking at slothful babus of the municipality. The sub-continental street scene came full circle when a pye-dog soaked in sewerage slithered past us, having had a cool dip in the open sewers. Something must have gone very wrong for Razia to have ended up where she was, we wondered. Our schoolbooks never told us that Razia was enamoured to the keeper of her horses, an Abyssinian slave by the name of Jalal-ud-din Yaqut. The chauvinistic Turki nobility known as the ‘Group of Forty,’ already incensed at having to bow to a woman in court, was aghast at seeing Yaqut promoted from the Amir al-Khayl (Superintendent of Stables) to the powerful position of Amir al-Umara (Superintendent of Nobles). Palace intrigue, thick with spying and plotting, soon implicated the unmarried Razia and Yaqut in a frivolous bit of intimacy. Yaqut was reported to have helped Razia clamber into her saddle, rather ardently. While she trotted off with a gratifying smile that eventful day, little did she know that the long knives were out. A revolt by the Governor of Lahore in 1240 AD was put down bloodlessly, but shortly afterwards, Razia was confronted with a more ominous threat from Malik Altuniya, the Governor of Bhatinda. Razia led a force to confront the rebel governor, but was routed soon after her arrival. Her favourite Yaqut was killed in battle, while Razia herself was imprisoned in the very fortress she had come to reduce. Thereafter, in a twist right out of Indian cinema, her captor Altuniya found himself irresistibly captivated by Razia’s charms – she was about thirty, we are told – and the two promptly got married! Altuniya then led the combined force to Delhi to wrest his bride’s sultanate from her brother Muiz-ud-din, who had usurped it in the prevalent brotherly fashion while she was away campaigning. Standing on the little Bhojla Pahari, which is more of high ground than a hillock, we looked around at the dense jungle of brick and concrete that is Old Delhi today. It took our mind’s eye to visualise that over seven and a half centuries earlier, this place was a wooded jungle on the floodplains of Yamuna; the imperial court was a further ten miles south at Rai Pithaura – the first of seven Delhis – then just 60 years old. We imagined Muiz-ud-din marching past where we stood, to square off with his new brother-in-law, as far north from the capital as he possibly could. Though Razia was more experienced in battle craft, she was constrained to defer leadership of the force to her husband, who was not quite equal to the task this time, as it turned out. After a resounding defeat, Altuniya and Razia fled westwards from the battlefield near Karnal, but after a day’s march which saw bulk desertions, they were cut down by local Hindu Jats at Kaithal. 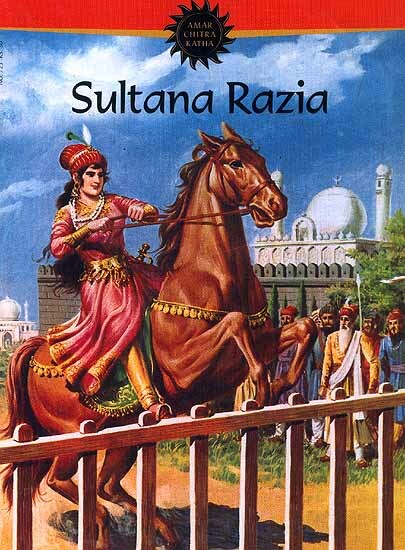 It was 14 October 1240, almost four years into Razia’s rule as the first Muslim woman ruler of Hindustan. Reaching the iron gate at the dead end of the street, our eyes fell on two unremarkable graves in a small open courtyard. Were it not for the Archaeological Survey of India plaque which gave the details, we could well have been looking for some domed mausoleum hidden from view, elsewhere. Mounted on a foot-high plinth, both graves are dressed in crude stone blocks. Of the two graves, one is said to belong to Razia’s sister Shazia but in the absence of tombstones, guesswork is fair game. The possibility of Altuniya resting in the company of his wife is not altogether improbable, I thought. A couple of platters full of bajra ensure that pigeons liven up, what might otherwise qualify as the most pitiful resting place of any monarch that I have seen. With nothing more to see, nor any caretaker to talk to, we left the place rather cheerlessly. As we were winding down the street, a shrill voice called out, “aye bhai sahib.” Looking back, we spotted a middle-aged man with paan stained teeth, beckoning us to stay as he had not been able to offer his hospitality. Sensing it to be the usual attempt at extorting money, we continued, only to be chased by the man who kept insisting that we see the adjoining dargah and mosque. The whole situation started to become tense as he grabbed my arm and almost dragged me to a halt. My wife too was worried that one shrill whistle by the charlatan could draw out a dozen thugs rushing from the warrens and alleys. Before things got nasty, I jerked the fellow aside and we shuffled out of the street as fast as we could. How on earth did Razia come to be buried in the horrid corner of Bulbul-i-Khana, if the grave is actually hers, that is? 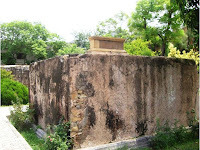 To complicate matters, there is a tomb in Kaithal also attributed to Razia. To answer the question, one can only speculate, based on the circumstances in which Razia died. If indeed Hindu Jats had killed her (there may have been a tacit nod from the top), the new Sultan would have put up a pretence of a decent burial and, would have hastily brought his sister’s remains back to Delhi. Bhojla Pahari is said to have been the place where Razia’s purported patron saint, Hazrat Shah Turkoman Bayabani, used to sit during meditation. This location may have been chosen by Muiz-ud-din in the belief that the saint’s blessings might comfort his tormented sister’s soul; that it was out of the way for any would-be sympathisers from the capital, was just as well. In the event, the saint died shortly afterwards and is buried not too far from the gate named after him. As for the tomb at Kaithal, it could have been built by a later ruler over the site of Razia’s temporary burial. There being no tombstone or memorial tablet at Kaithal does not help matters much. That Razia’s grave could yet emerge somewhere in Pakistan, some day, would be no surprise. In fact, discovery of Razia’s burial chamber in Kasur has already made news in some Urdu dailies, but we shall leave that for another story! This article was published in the daily newspaper The News International on 3 July, 2011.